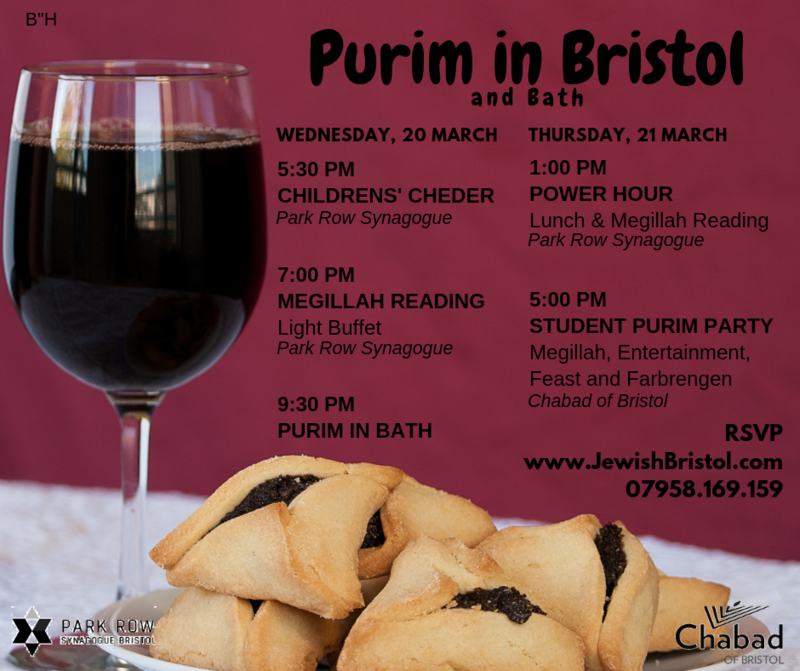 Attend the Passover Seder in Bristol! More details and RSVP here! Purim in China - Student Purim Party! 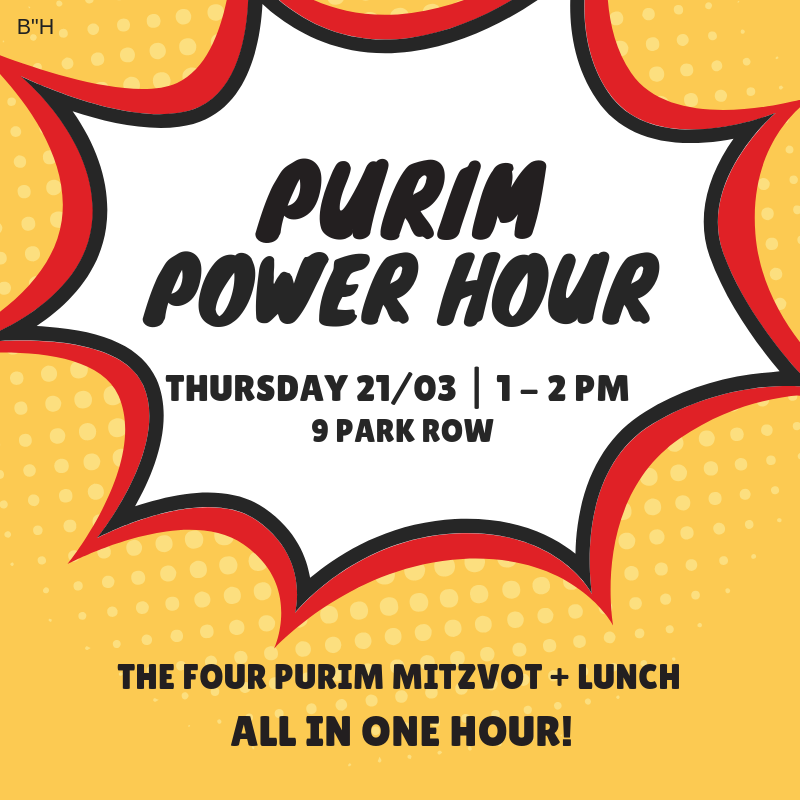 See Purim Page for details and to RSVP. Get together with Jewish Women to knead, plait, sing, schmooze and socialize. 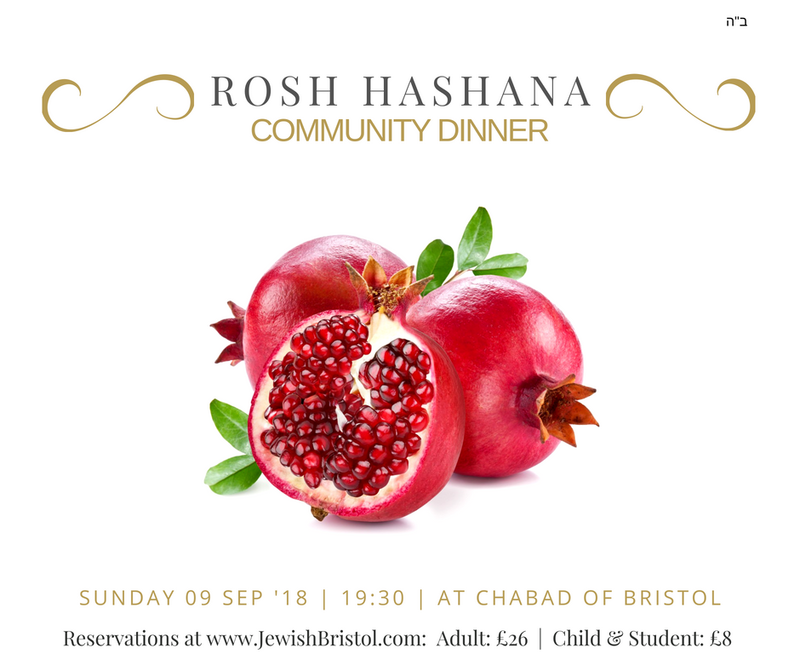 In conjunction with the Chief Rabbi’s Shabbat UK. Sunday, 24 February, 8 PM. Let us know if you are bringing anyone with you. Looking Forward to seeing you at the Community Womens Challah Bake on Sunday, 24 February, 8PM at 9 Park Row! DISCOVER your rich heritage. CONNECT with other Jewish students on campus. Become an EMPOWERED Jewish leader. Through 8 Sessions, 3 Jewish Experiences and 1 Essay you will earn $350 and a gain a new personal perspective on Your Judaism! Starting: February 6 - March 25. Sessions will be on Wednesdays from 7:00 PM - 9:00 PM (with a few exceptions). Generous $350 stipend for all students who complete the course! Kabbalat Shabbat & Dinner 7:00 pm. Every week (with few exceptions.) Contact Rabbi Mendy or Chaya to save your seat. Grand Chanukah Menorah Lighting in Exeter. Jews from across the South West will gather together with a show of Jewish Pride as we celebrate Chanukah together! LIGHT UP Exeter with the annual Grand Menorah Lighting! Grand Chanukah Menorah Lighting at University of Bath. The Jewish Students, Community and dignitaries will gather together with a show of Jewish Pride as we celebrate Chanukah together! Grand Chanukah Menorah Lighting in Bristol City Centre. The Jewish Community and dignitaries will gather together with a show of Jewish Pride as we celebrate Chanukah together! LIGHT UP Bristol with the annual Grand Menorah Lighting! Shmini Atzeret Meat Extravaganza and Hakafot. 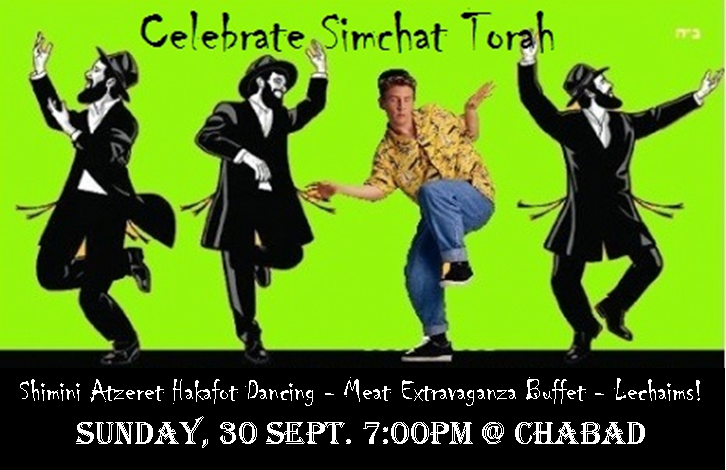 Multiple variety meat buffet, enthusiastic dancing with the Torah, unlimited Lechaims and inspiring Farbrengen! Buffet of variety of meat dishes and more. Lechaims Galore! Hakafot with the Torah and uplifting farbrengen.... if you can hold out long enough! Pop in to meet Rabbi Mendy, grab some snacks and Shake the Lulav & Esrog. Pop in to meet Rabbi Mendy, grab some soup and Shake the Lulav & Esrog. Rabbi Mendy & Chaya are inviting all young families to Shabbat lunch on 11 August. Enjoy Shabbat with friends! Contact Rabbi Mendy or Chaya to Save your Spot.